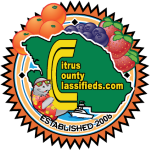 Continue reading "Great cause, awesome packages"
Continue reading "Facebook shared this this morning"
Continue reading "We love Citrus County advertise with us http://ift.tt/2cHVEcx"
Continue reading "Best post ever"
Continue reading "We are posting about 75 to 120 post a day. Working on doing 300 post a day. What can we post for you or your business? http://ift.tt/2j9uZt4 for a whole month plus targeted sharing."